What Final Fantasy Does the FF13 Director Want to Remake? If Final Fantasy XIII director Motomu Toriyama had his choice, guess what game in the Final Fantasy series he'd like to remake? Go on, guess. 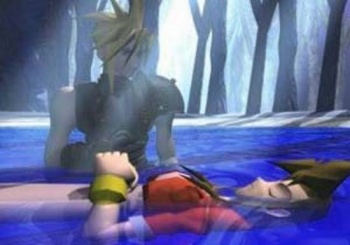 The answer, of course, is Final Fantasy VII: Bet you didn't see that one coming, suckas! Wait, what's that? You did see it coming? Oh, well... now I feel kinda silly. This comes to us by way of Siliconera, who pitched Toriyama-san some community questions in a recent interview. In addition to speaking about how he felt to see fans' reactions to the Western launch ("especially pleased with the public reaction in North America and Europe") and why the two worlds of Cocoon and Pulse had very different play styles ("the concept was to create two different gameplay experiences ... Cocoon was story driven and Gran Pulse was an open world"), Toriyama was asked about the possibility of other Final Fantasy remakes. If we had the manpower and the time to work on a project, if we were to remake Final Fantasy VII with the quality of Final Fantasy XIII it would become a tremendous project. If we can get the number of people we need by all means that would be the one I would really want to remake. At this point, I'm kind of hoping that Squeenix just gives in and remakes Final Fantasy VII, but does it for a completely different platform than anyone ever expected, and one that few FFanboys own. Can you imagine FF7 being announced for, like, the iPhone? I can, and it's hilarious.